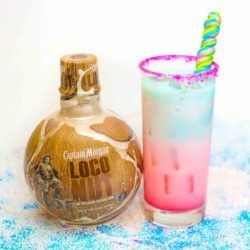 The delicious Loco Unicorn drink recipe looks as great as it tastes. Captain Morgan’s LocoNut, Curacao and Grenadine make a beautiful rainbow. 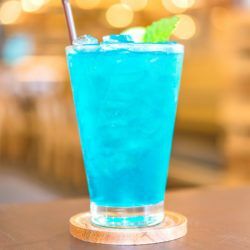 Once upon a time, it must have occurred to someone that the Long Island Iced Tea was nearly perfect, except for one thing: it wasn’t blue. The Blue Long Island cocktail fixes that. 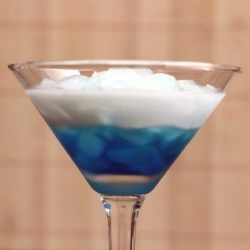 The Avartini Cocktail features Stolichnaya Blueberi Vodka, which is not the most common ingredient in cocktails. 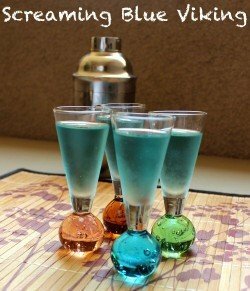 Here, it provides most of the liquor for the drink, and also most of the flavor. 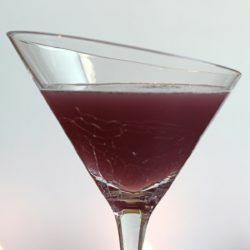 The Purple Turtle cocktail blends the flavors of cranberry and orange with coconut, which adds a mellow note that rounds out the tartness of the fruit juices, giving them a needed touch of sweetness. 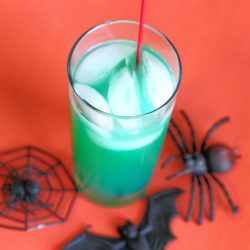 The Spooky Juice cocktail is a murky green cocktail that tastes mainly like orange with just a hint of berry. It’s obviously great for Halloween, but there’s no reason to save it for that occasion. 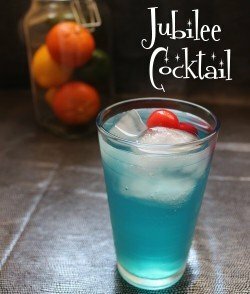 The Jubilee cocktail features three white liquors, some blue curacao for color, lemon, sugar and club soda for the bubbles. 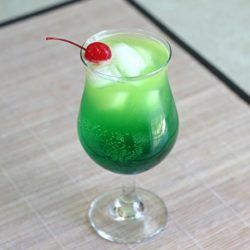 It’s a fun color, it has fun bubbles, and it tastes mainly like lemon and orange, so it’s an easy drink to love.